Cathy McCann was a principal dancer (1979–91) with the Paul Taylor Dance Company and toured internationally with Mikhail Baryshnikov and the White Oak Dance Project for several years. She has staged Taylor works for American Ballet Theatre, Alvin Ailey American Dance Theater, San Francisco Ballet, the Paris Opéra Ballet and, most recently, Sarasota Ballet. She has been a faculty member at Adelphi University, Barnard College and Hofstra University and taught at the American Dance Festival and The School at Jacob's Pillow. She regularly teaches the 10 am professional-level open class at the Paul Taylor Studios in NYC. Sasha Smith has been studying at the Taylor School for six years. "Popular music has an overall energy that lends itself to the street-jazz style," says Derek Mitchell. But over the last eight years or so, the choreographer, who also teaches contemporary, jazz funk and musical theater, has noticed a lack of great musicality and interesting lyrics. As a result, Mitchell's music searches often gravitate toward the classic hits from artists like Prince and Janet Jackson. "Rarely do I hear a new song that makes me go, 'Oh, I want to dance to that!'" When Ivan Pulinkala was preparing for his interview at Kennesaw State University to create the school's first dance program, he figured the whole thing would be a lark, at best. After all, the New Delhi–born choreographer had just gotten his green card, which meant he could teach anywhere, and Kennesaw, Georgia (a half-hour outside of Atlanta), wasn't his first choice as a location. But after doing a scan of collegiate dance in Georgia, he began to change his mind. "I thought, 'Wow, if someone starts a big dance program at a public institution, the market's wide open,'" says Pulinkala. "There were some good programs, like Emory University, but they were niche—private and expensive." Just like your car, your studio needs periodic tune-ups to keep it humming along smoothly. If you take the time to address a few small fixes, your business will stand out. And you don't have to break the bank, either—you might be surprised how low-cost, DIY improvements can make a surprising difference. Show your lobby some love. When your students graduate and move to the big city to pursue their dreams, they'll almost immediately discover that there's a void left where your studio once was. Not only will they miss your instruction and daily support, but they'll miss having a physical space to work through challenging movement, polish their technique and improv with no one watching. Help them with their adjustment period by telling them about the studio spaces they can rent out when they need some one-on-one time with the mirror and the music. Here are five for you to share with them—you're welcome! 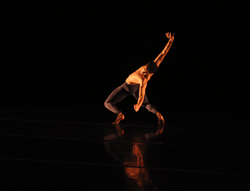 Gabriel Figueredo in a variation from Raymonda. VAM Productions, Courtesy YAGP. This week, more than 1,000 young hopefuls gathered in New York City for the Youth America Grand Prix finals, giving them the chance to compete for scholarships and contracts to some of the world's top ballet schools and companies. Roughly 85 dancers made it to the final round at Lincoln Center's David H. Koch Theater on Wednesday. Today, the 20th anniversary of YAGP came to a close at the competition's awards ceremony. Read on to find out who won! Ask Deb: What Exercises Are Useful to Strengthen Ankles? Q: A student of mine recently got a bad sprained ankle, and it's been weak ever since she returned to class. Are there any exercises you suggest to strengthen it? A few years ago, Mary Ann Lamb got a phone call from Ann Reinking, who was choreographing a production of The Visit starring Chita Rivera. Lamb was thrilled when Reinking offered her the role of Young Claire without even asking for an audition. "And then she said, 'In the first act, you're going to play Chita Rivera when she's a 17-year-old virgin,'" Lamb says, "and I'm like, 'What am I gonna do? I'm like 50 years old!' I started panicking. My dream was to be in the room with Ann Reinking and Chita Rivera, but I was scared to death I was going to make a fool of myself." "WOD" is back for Season 3, and once again, the internet is loving it! How much do they love it, you ask? Well they've watched many of the dances millions of times, so it's safe to say—A WHOLE LOT! We did some research and discovered which dances have been watched the most since Season 3's premiere, and the results may surprise you. Here are the top-four most viewed "WOD" videos of the season so far! Let us know your favorite over on our Facebook page! Ask the Experts: Do You Prefer Apple Products or Google for Class? Q: As a dance teacher, which products do you prefer, Apple or Google? When it comes to running a thriving dance studio, Cindy Clough knows what she's talking about. As executive director of Just For Kix and a studio owner for more than four decades, she's all too aware of the unique challenges the job presents, from teaching to scheduling to managing employees and clients. Here, Clough shares her best advice for new studio owners, and the answers to some common questions that come up when you're getting started. How do you create a schedule for the year? How do you deal with tricky parents? How do I become a better teacher? Any advice for managing employees? How do I develop a vision for my studio? How do I set my studio apart from the competition? Any final words of advice? The one thing that can unite all of us on April 15 is the fact that everyone hates doing their taxes. Though they are necessary, they are exhausting and time-consuming, and just plain no fun for anyone! To help you cope, we've captured what doing taxes feels like through a series of dancer memes. It's a question that often pops up online in dance teacher forums where studio owners look for creative ways to save money. It may sound tempting to try shower pan lining as vinyl flooring—it's PVC, just like marley, right? Unfortunately, it's not that simple—PVC products are not all created equal.